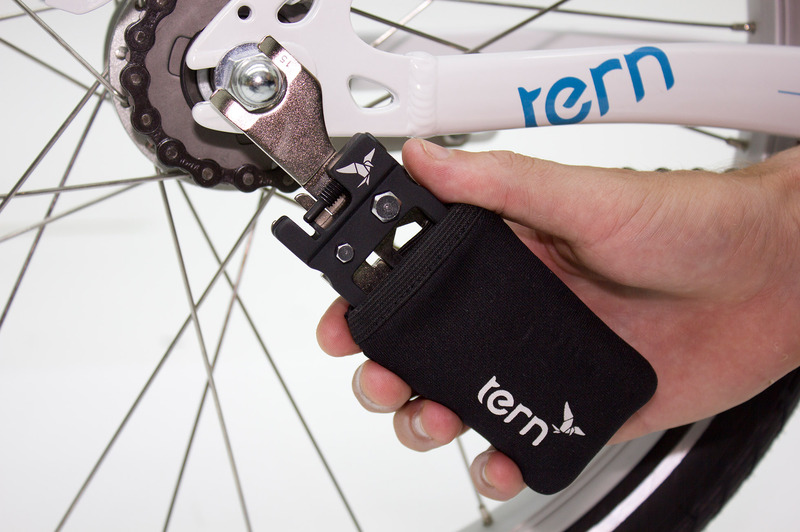 The Tern Tool ensures you stay on your bike, and don’t get stuck roadside. 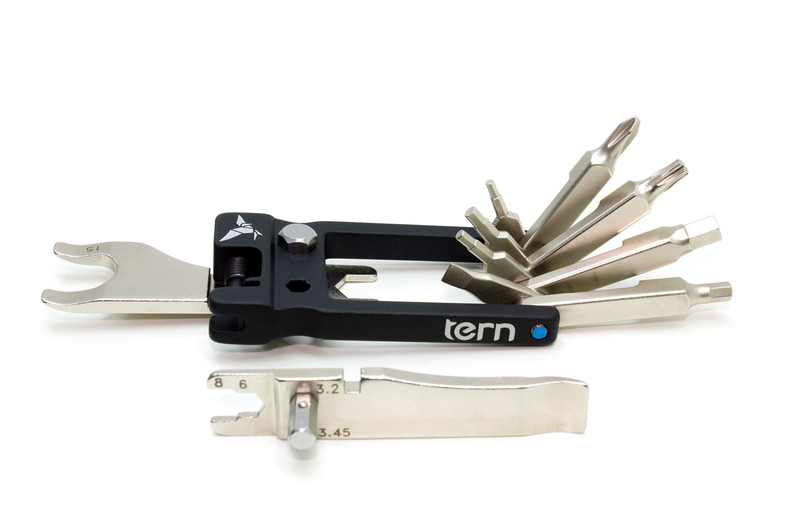 Specially designed for Tern bikes, the multi-tool boasts 20 must-have tools, including a 15 mm wrench for tightening axle nuts and pedals and a 6 mm wrench for adjusting Tern joint levers. 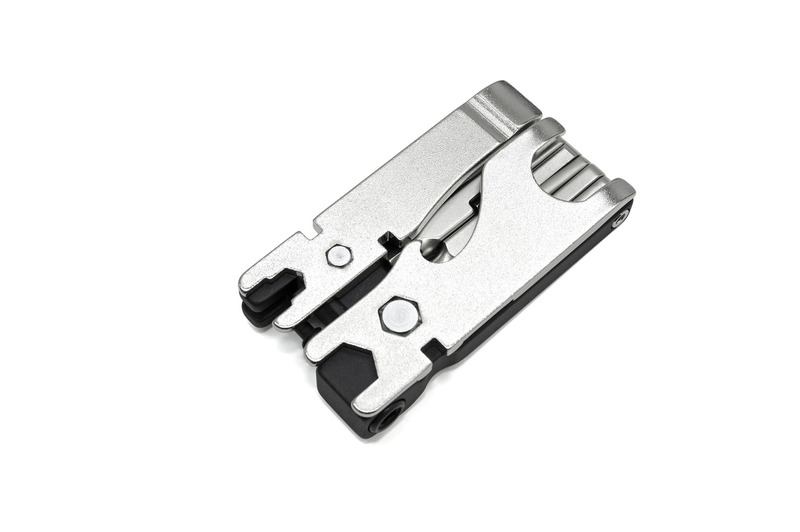 Folds into a flat, compact size and can be easily slipped into pant pockets or a ride jersey. 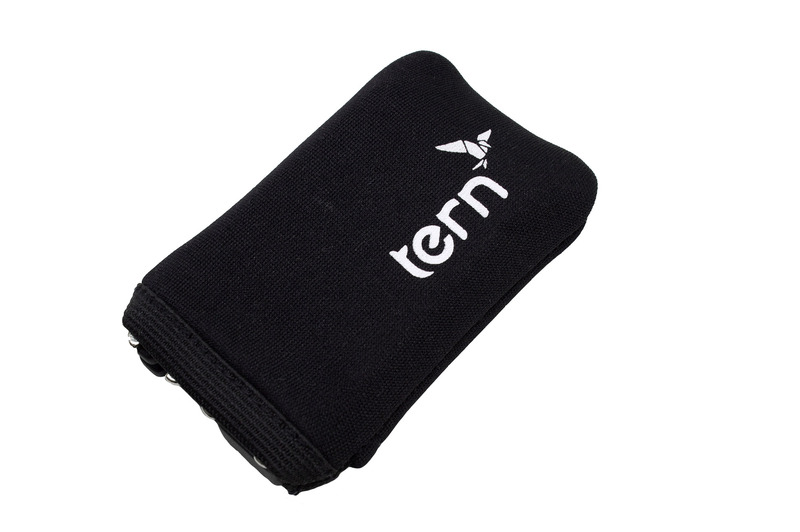 Neoprene cover can be slipped onto the body handle for a more comfortable grip. 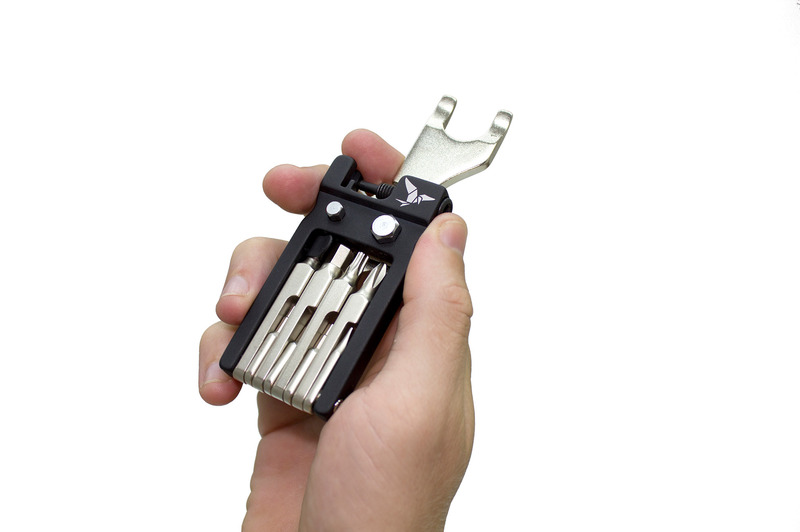 One of the best-designed and comprehensive multi tools I’ve used in ages. 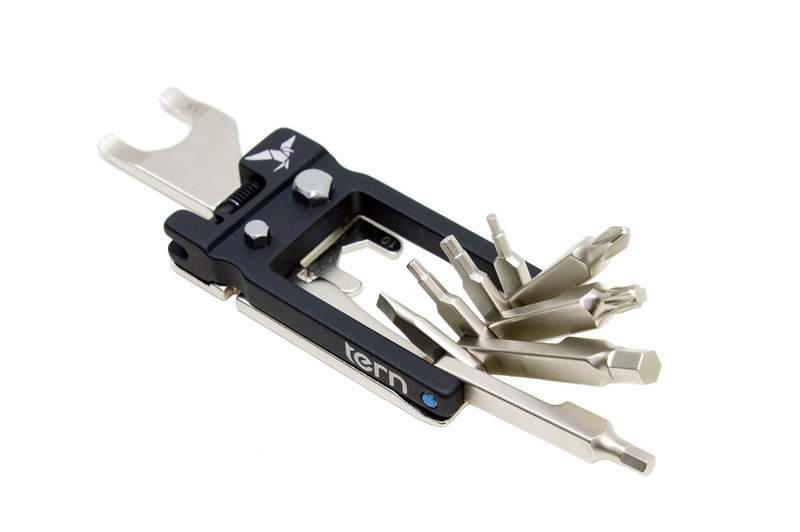 There are plenty of cheaper multi-tools around, but I think the Tern justifies its price with evident build quality, good flexible design and a comprehensive set of features. 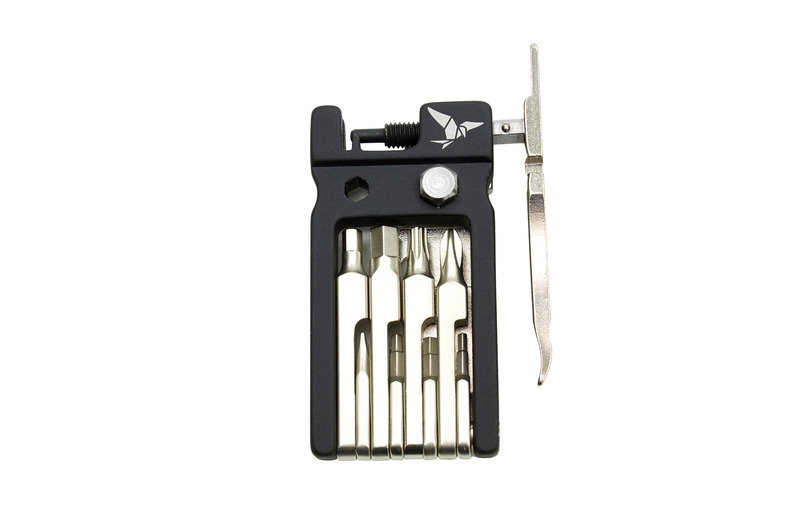 …a burly 20-piece multi-tool equipped with a 15 mm wrench + the requisite implements to fix most any issue on a Tern folding bike. …eine veritable Werkzeugkiste für unterwegs, die mit ihrem geringen Gewicht und der kompakten Grösse problemlos in der Satteltasche Platz findet. 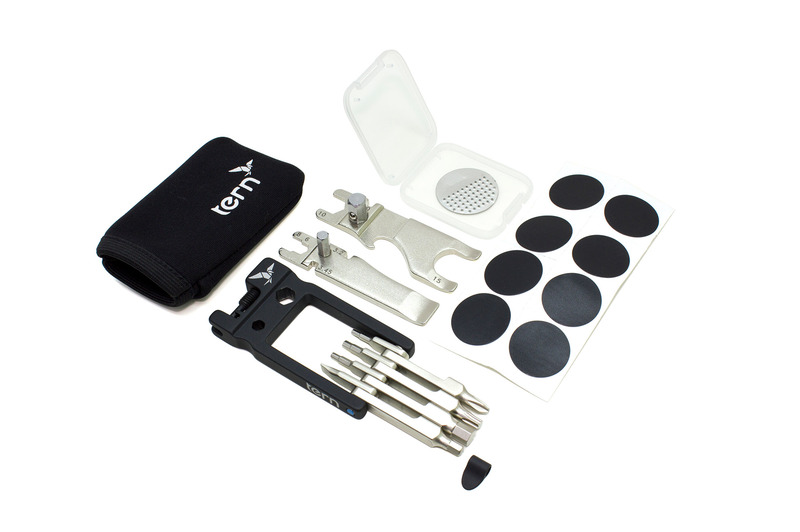 Obwohl das Tern Tool eines der kompaktesten Helferlein im Test ist, besitzt es sagenhafte 22 Funktionen. Die Werkzeuge sind beim “Tool” so auf die drei Partien verteilt, dass alle gebräuchlichen Mutter-Inbus-Kombinationen bedient werden können.